Marrakech is a city of underground channels built by the architects from Cordoba, Spain to provide water for the town and Palmery. Our Marrakech Jewish Heritage Day Tour, Morocco is part of our custom-designed travel, offering all services from start to finish. We can plan your day tour, book hotels, arrange private guides, drivers, and more. Our expertise and specialized guides create a memorable journey. We’ve been there, we have our own stories to share, we share our knowledge. One-Day Marrakech Jewish Heritage Private Tour includes visiting the Jewish Mellah of Marrakech, the Marrakesh Synagogues, Jewish Sites, Moroccan Heritage & Cultural Sites. Our tour includes a visit to the Marjorelle gardens and combines well with our other Morocco tours. Imagine your own journey in an exotic city with generations of stories and the history of many cultures. Experience a barrage on the senses from echoes of the adhān ring in your ears, to mountains of vibrant rainbow colored spices, to indigo blue and yellow tiles on walls and floors. Explore Jewish quarter of this former imperial capital. Learn stories of the Jewish Mellah and the Spice Souk. Stay in elegant and exotic accommodations. Israel active tour is a transformational travel experience with Eviactive, that explores Jerusalem, a land of 3 faiths – where soul-stirring historic sites stand side by side with modern architecture. Jerusalem serves as a beacon for Jews, Muslims and Christians. Our signature active journey includes rappelling in the Dead Sea Caves, star-gazing in the Ramon Crater, wine tasting, and Segway tours. Our cultural and historic discovery takes in sacred ground to Jews, Christians, and Muslims, and on an adventure into a dazzling diversity of influences and historic sites co-mingled across a modern state. Our active adventures can include cycling, wine tasting, hiking, kayaking, rappelling, on 4X4 adventures, sand boarding, or even star gazing at night in the desert….to mention a few of our activities. Our 12-day Antarctic Peninsula voyage – in partnership with Polar Latitudes – offers incredible wildlife viewing. Enjoy stops at active scientific or historic bases. Our program features citizen science. A transformational travel experience with Eviactive, that explores the earth’s southern most continent. Discover the world and wild life in the true south of glacial icebergs. Understand the importance of respecting the planet that is our home and in preserving the environment. A mesmerizing view of a natural habitat that we rarely glimpse. Watch floating castles of ice glisten in the warmth of the austral sun. Experience what centuries of explores who have been captivated by the ice have seen. Learn from our on-board naturalist guides who will share the culture and life cycle of penguins, seals, and other animals that are part of this unique and exceptional habitat. Trace the path of the ancient Inca civilization. Walk along a part of the Inca trail. Visit the protected site of Machu Picchu, one of the world’s most remarkable archaeological wonders. Visit The Sacred Valley of the Incas , undoubtedly a key area of settlement to the Incas. Today the Sacred Valley remains a lush agricultural region and an area where many of the Andean people live as they have for centuries. Explore the colorful Pisac Indian Market filled with local handicrafts and the famed Peruvian ceramic beads made into necklaces, earrings and other Peruvian artifacts. Investigate extraordinary ruins, walk along cobbled streets, and become acquainted with Spanish colonial history. This is a Tailor-made journey. Contact our concierge service for assistance. Click on the PDF for a detailed itinerary sample. Newest Galapagos Islands Catamaran with 9 cabins, all with private balconies. Snorkeling, swimming and kayaking in pristine waters teaming with underwater life. Guided hikes on uneven foot trails and paths help you see the islands’ animals and landscape of the Galapagos Islands in their natural habitat. Sea lions sharing the beach with marine iguanas. Like Darwin before you, cross paths with giant tortoises. Galapagos Islands is an inimitable adventure. December 15 – 22, 2018. Awaken your senses with the best dancing at sea, Dixieland Jazz, and great port stops with our New Orleans Yucatan Ballroom Dance Cruise. Ballroom dance on Crystal Cruises with our award-winning and internationally acclaimed dance professionals. Dancing nightly to live music hosted by our professionals. New Orleans Yucatan Ballroom Dance Cruise. Shall we dance? Basque in the warmth and sunshine of the Yucatan Peninsula from Belize to Cozumel. 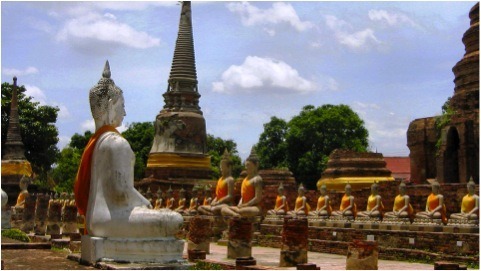 Discover Thailand, a country rich in culture, cuisine and heavenly islands. Immerse in the enticing and impeccable Thai hospitality. From luxury accommodation in off-the-beaten-track locations to privately guided tours, our in-depth, first-hand knowledge of Thailand will provide a highly bespoke experience. 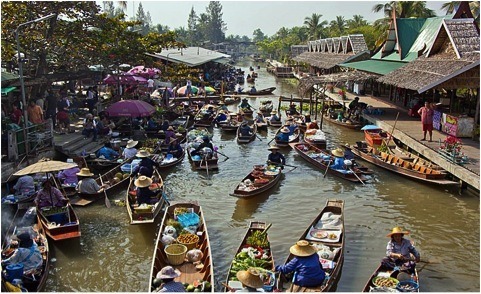 Explore the riches and bustling adventures of Bangkok, Thailand. Discover the Emerald Buddha (Wat Pra Kaew) and the giant gold Reclining Buddha at Wat Pho. Cook Thai specialties and take home exceptional recipes. In 12 days of of Thai experience, you’ll create memories to last a lifetime. Hawke’s Bay New Zealand presents an eclectic mix of visual and sensual experiences. Discover Hawke’s Bay New Zealand’s leading producer of red wines. 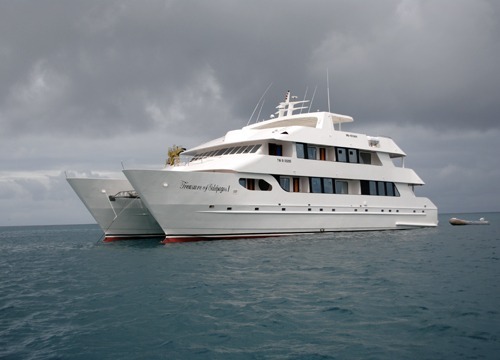 Travel through the Galapagos Islands on one of the most luxurious of small 16-passenger boats. Spot sea lions sharing the beach with marine iguanas, explore archaic volcanic tunnels, and, like Darwin before you, cross paths with giant tortoises. Snorkel, scuba, or kayak in these pristine waters teaming with underwater life. Guided hikes on uneven foot trails and paths help you see the islands’ animals and landscape of the Galapagos Islands. Visit a turtle breeding farm. Discover Florence as an insider, including the Ponte Vecchio, Brunelleschi’s Duomo, Michelangelo’s works, and hidden medieval family towers. Stroll through the Renaissance town of Pienza where life goes on as it has for centuries. Meander through the ancient streets and alleys of the medieval towns of Sienna, Montepulciano and Cortona tasting olive oil, home made pasta, and other delicacies. 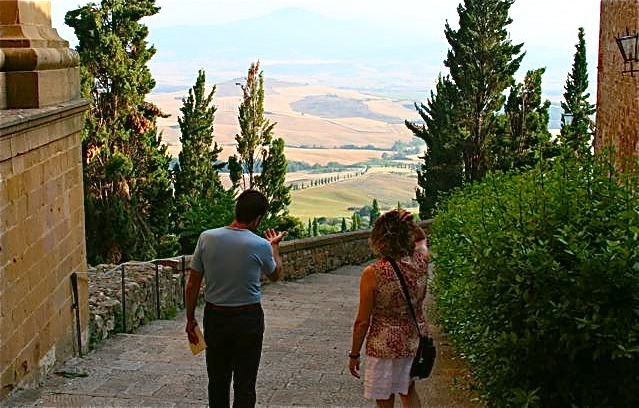 Sip a glass of world-class Brunello wine in privately owned vineyards known to our guides. Walk in the hills around Montalcino and take in the sweeping vistas of the Val d’Orcia. Awaken your senses with a cooking class followed by an authentic mouth-watering Tuscan dinner. Learn about the ancient Etruscans – the founders of many of the Italian cultures known to us today. Experience awe-inspiring South Africa on a seamlessly planned tailor-made journey. A land that is vast, wild, and exciting. See the Big 5 for yourself. Explore South Africa’s the rugged natural beauty. Taste incredible wines and visit the green winelands created by Dutch settlers. Understand South Africa’s tumultuous background and the pain and struggle of the country’s heroes and founders. This chart is provided to help guide your travel plans. June to October are the wettest months. April is the hottest. While December, January, February and March are the driest and coolest months, these are also the peak season travel time. November is still dry and relatively cool, with slightly fewer crowds. Visit Manuel Antonio, one of the most bio diverse spots in the world. Soak up stunning views of Amalfi’s alluring coastline. Hike along the Amalfi Coast’s famed paths carved into the rock – once the only access between the isolated villages set among the cliffs. Dine on exquisite local cuisine. Go back in time and place on a privately guided tour in legendary Pompeii. Meander the serpentine alleys in the picturesque coastal villages of Amalfi, Positano, Ravello, and Capri. Discover why the Amalfi Coast has for centuries lured kings and queens, artists, writers, and others to the sun drenched isles. Visit the superb gardens of Villa Cimbrone. Prepare to be mesmerized by the UNESCO World Heritage Site of Angkor Wat. Our crowd avoidance itineraries let you listen to the sounds of nature at work as you stand alone in the morning mist among the soaring trees and serpentine roots of Ta Prohm. Visit the Angkorian waterway late in the afternoon and her only the dip of your boatman’s oar and the call of the redheaded whistling ducks as you sip your sunset drink. Get introduced to the most talented artisans and restorative spas. Discover the magnificent beauty, mysterious ancient cultures of the Inca civilization, and extraordinary ruins of Cusco, Machu Picchu and the Sacred Valley. Walk cobbled streets and discover Spanish colonial history. Experience vibrant Andean culture and colourful markets. Transform yourself in Machu Picchu, one of the world’s most remarkable and enigmatic archaeological wonders. Hike the magnificent and alluring Inca trails. Drink the intoxicating mix of culture, archeology, and nature. Discover Naples, the birthplace of the “pizza”. Hike the mountainous trails of the Amalfi Coast famed for paths carved into the rock – once the only access between the isolated villages set amongst the cliffs. Walk serpentine alleys in picturesque coastal villages of Amalfi, Positano, Capri, and Sorrento. Luxuriate in the Amalfi Coast, a place that has for centuries lured kings and queens, artists, writers, and now you, to her sun drenched isles. Follow the history of the ancient Romans as you tread their well-worn paths. Be intoxicated by the glorious landscapes of the Amalfi Coast. Enjoy deluxe historic accommodations and traditional local food. Visit the leather town of Cotacahi and watch master weavers demonstrate techniques that have been used for centuries to produce colorful cloths. Swim with seals, come face-to face with blue-footed boobies, and other animals that led Darwin to his theory of the evolution. In the Andes mountains, enjoy historic accommodations and traditional local food.